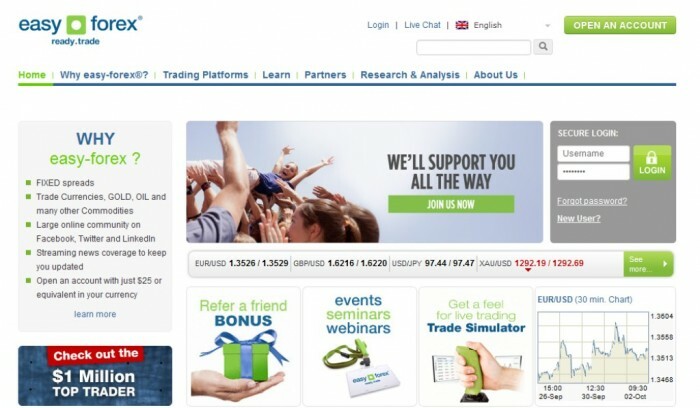 Easy-forex was established in 2003. It is specialized in presenting online trading services for Forex traders in different countries around the world to compete other online brokers who present currency trading services in over 150 countries. Trading with easy-forex does not require a specific level of proficiency because the services are presented to customers with different levels to suit the different levels of their experience in trading on the financial market. Easy-forex allows its customers to trade currencies and commodities through using just one account and it offers Personalized FX training programs, Dealing Room specialists, rewarding introducing broker programs and innovative institutional partner offerings. Easy-forex offers different platforms for its customers to suit their different strategies, to meet their different needs and their different styles in trading. You can access your platform through different stations as you can use the web, desktop or your mobile phone. 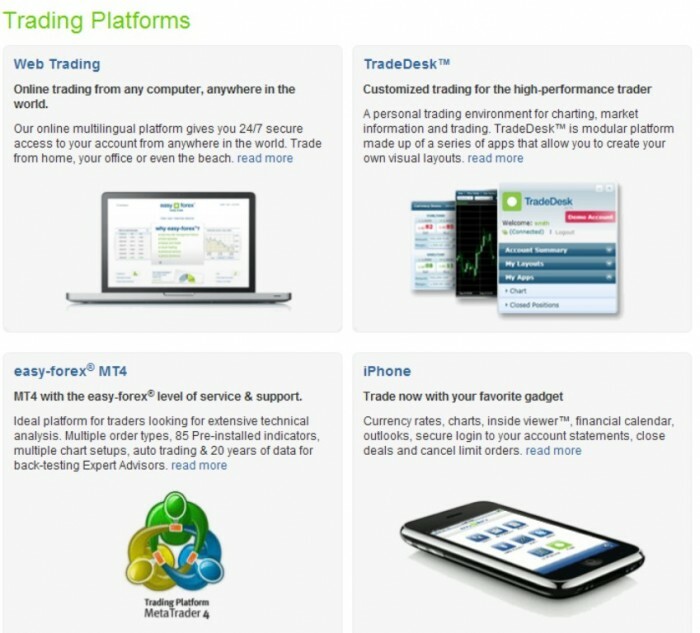 There is Web Trading platform that can be accessed from any computer that is connected to the internet as it is based on the web, TradeDesk platform that can be easily customized to suit the trader’s needs and this platform is presented to high-performance traders, MetaTrader4 or MT4 which is the most popular trading platform in the world and there is also Mobile Trading platform that allows you to access your account at any place whenever you want without being forced to use a specific device and this helps you to keep in touch with the latest changes about the financial market. 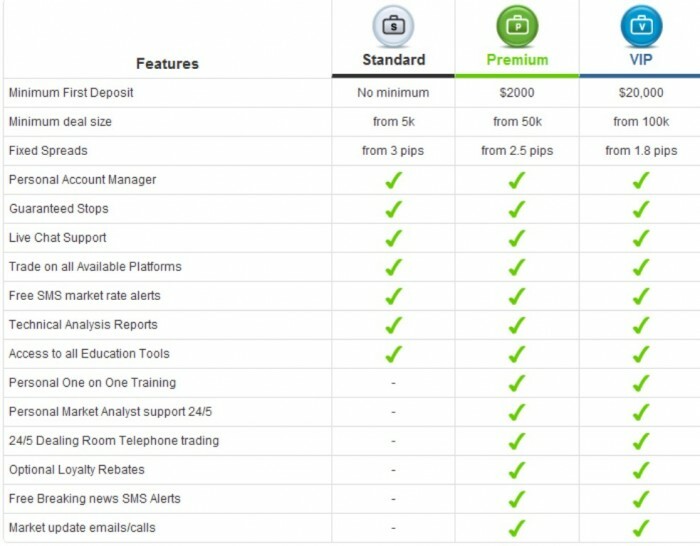 Easy-forex provides its customers with different types of accounts as there is Standard account, Premium account and VIP account. These accounts differ in the minimum deposit that is required for starting trading, the spreads that are required and other features that are presented to suit different needs and financial situations. The minimum deposit that is required for opening a new account and starting trading with easy-forex is just $25 which is a very low deposit that is affordable for many customers who want to gain money through online trading. It offers leverage up to 1:200 and tight and fixed spreads starting from 1.8 pips. Easy-forex offers several financial instruments and not only forex exchange to allow you to choose the trading product that you need and helps you to make high profits according to the conditions of the market. You can trade currency pairs, gold, oil and other major commodities. It presents tight and fixed spreads, instant credit card withdrawals and the ability to join online community that includes other traders like you on Facebook, Twitter and LinkedIn. 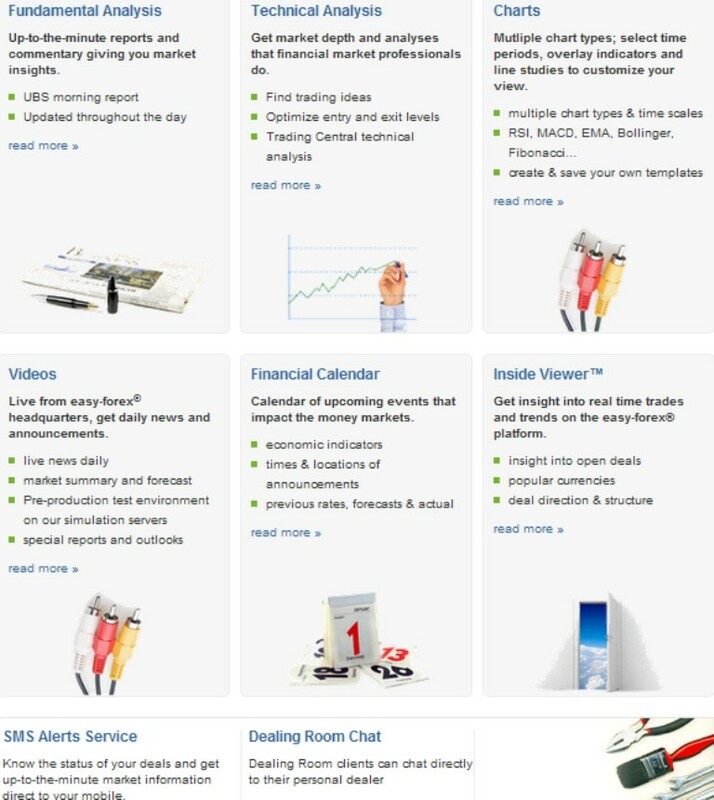 It provides its traders with streaming news that is always updated to allow customers to take the right decision while trading, live currency rates, fundamental analysis, technical analysis, Reuters news, market news international, charts, financial calendar, dealing room, inside viewer, trade controller, SMS alert service, interest rates table and currency rates matrix. Easy-forex is regulated and licensed in Australia by the Australian Securities & Investments Commission or (ASIC). 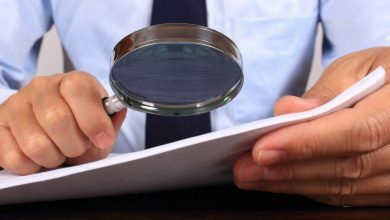 It is also regulated in Cyprus by Cyprus Securities & Exchange Commission or (CySEC). Customer funds are segregated from the company’s money, so you do not have to worry about losing your money or being used by the company for solving its problems. It offers guaranteed stop loss, no slippage, high liquidity, secure credit card withdrawal process, transparent prices, fixed tight spreads with no commissions on deposits or withdrawals. 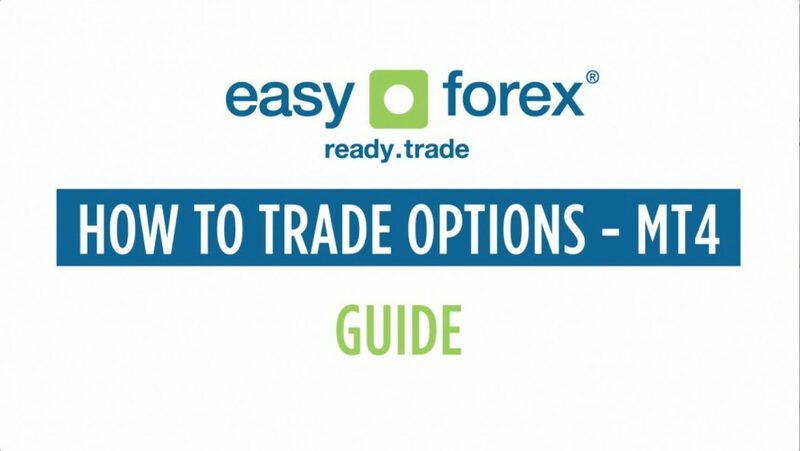 Easy-forex presents several education materials and resources for novice traders to help them to know how to trade on the financial market with reducing the risks of losing money while trading. 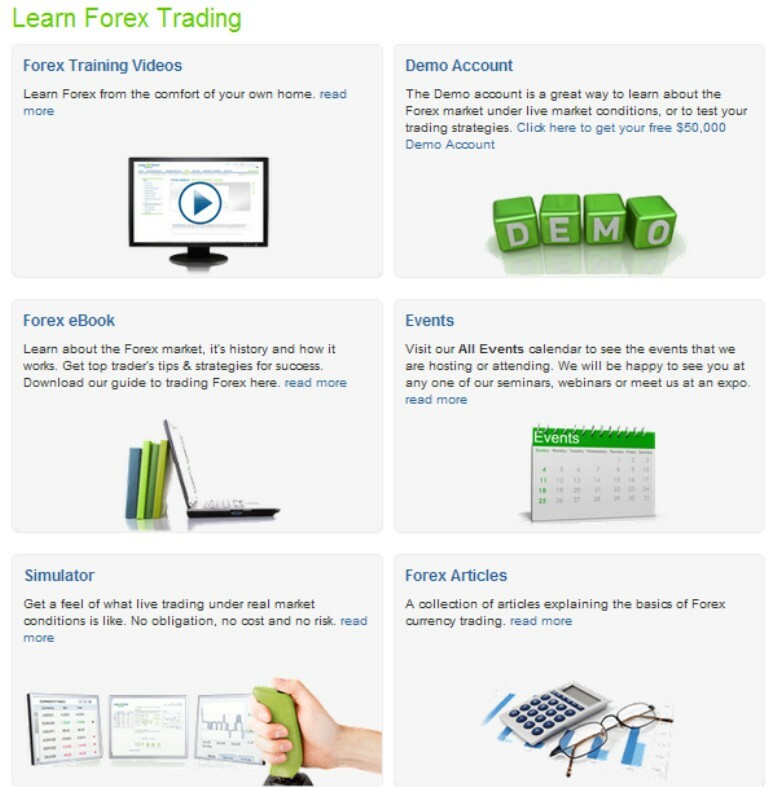 It offers its customers Forex training videos, Forex e-book, webinars, seminars, expos, events, simulator, Forex articles and one-on-one training . It is a great chance that is presented by easy-forex to its traders who did not try to trade before. The demo account helps you to practice trading, test different strategies, improve your trading skills and test the services that are offered to you to judge their quality. 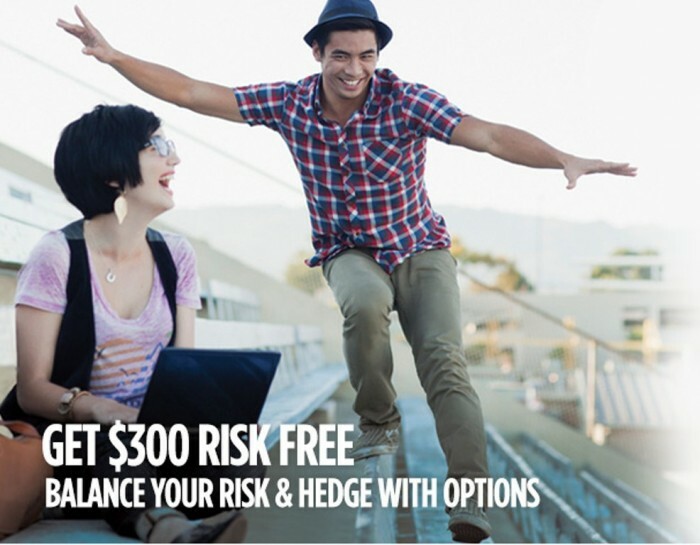 You do not have to risk your real money or to lose it while trading with a demo account. You will get a free 50.000 demo account to start trading through it. 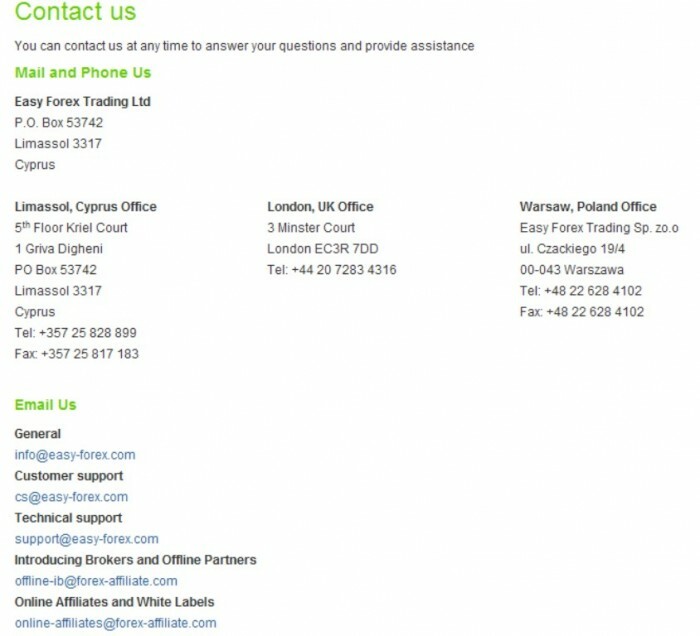 Easy-forex presents to its customers a 24-hour multilingual customer support that is available in 10 languages throughout the day, free personal account manager, forex trainers and dealer support to provide traders with the needed help and to allow them to trade professionally on the financial market. You can contact the support team through different ways such as postal mail, e-mail, phone, Fax and live chat. It has multiple branch offices in different countries around the world to cover most of the major trading centers as you can find offices for it in London, Sydney, Cyprus and Poland. 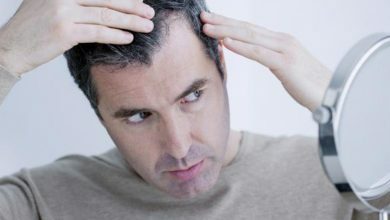 There are local telephone numbers that are offered to allow customers from different countries to call the support team. There are some customers who complain about the spreads that are offered as there are other online Forex brokers that offer lower spreads. Easy-forex is recommended by most of the traders who tried its services. They find that the platform can be easily used, the customer support is perfect and available in different languages which helps them to talk in their own language, there are several types of accounts and they can withdraw their money quickly without taking a long time.